Dreadlocks – Fashion trend or spiritual radar? Even within the cultural and spiritual worlds dreadlocks are in no way an exclusive Rastafari phenomenon. 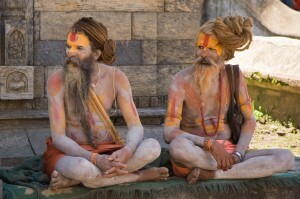 Since time immemorial, Hindu sannyasis (ascetics who renounce the world to strive for spiritual perfection) often wear their hair in matted locks. But in this case, the importance of these lures to distinguish, they are more frequent than a rebellion against accepted standards. According to various spiritual masters, the hair itself represents a kind of spiritual radar, or an X-ray into us by solar energy. Today, this ‘radar’ power of human hair is minimal, but some spiritual seekers still intentionally grow their hair long, in order to be able to pick up on these subtle energies.